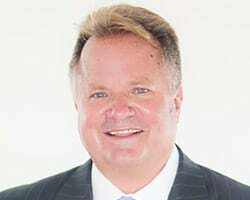 Kelley Wright entered the financial services industry in 1984 as a stock broker, first with a private investment boutique in La Jolla and later with Dean Witter Reynolds. In 1990, he left the retail side of the industry for private portfolio management. In 2002, Mr. Wright succeeded Geraldine Weiss as the managing editor of the Investment Quality Trends newsletter and as the chief investment officer and portfolio manager for IQ Trends Private Client. His commentaries have been published in Barron's, Forbes, BusinessWeek, Dow Jones MarketWatch, The Economist, and many other business and financial periodicals. Mr. Wright is an active speaker at trade shows and investment conferences, and is a frequent guest and contributor to radio and CNBC. He is the author of Dividends Still Don't Lie, which was published in February, 2010, by John Wiley & Sons, Inc.